In less than a year’s time, a new, robust package of economic incentives is making its impact felt in South Jersey. When the Economic Opportunity Act was signed into law last September, it was met with open arms in South Jersey. 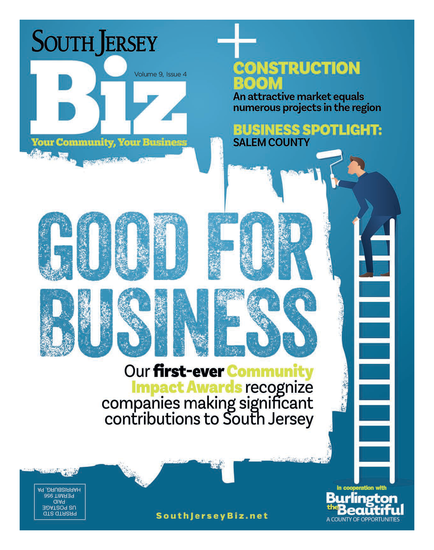 As legislation that combines five state programs and takes strides to expand their reach, its primary goal in South Jersey seems to be helping the region attain access to grants and tax incentives that will ultimately lure new businesses and investors to the region. Several months later, South Jersey is already starting to see evidence of burgeoning economic opportunity as a result of the act; in areas like Camden, the new law makes provisions that include up to $175 million in state aid for economic development projects for the city, in addition to $600 million for qualified residential projects statewide. “This legislation is creating buzz in South Jersey and helping to fill the gap in projects that have been lined up and ready to go but needed that financing. … We’ll see a positive impact in the short-term, but looking forward, I think we’re going to see tremendous economic growth in our region,” confirms Gregory Filipek, principal of Sora Northeast. As part of the new law, businesses that move to these struggling urban zones will be privy to an array of incentives along with additional funding to help jumpstart new development projects. According to Jeff Arnold, principal at Markheim-Chalmers, Inc., a 92-year-old commercial real estate brokerage and appraisal firm in Cherry Hill, the company is already seeing office tenants in southern New Jersey that have benefited from the Economic Opportunity Act. Recently, a lease for a 10,000 square-foot facility was completed in Camden; relocating from Marlton, the company will receive more than double the tax incentives that it pays in rent. He also notes that the program is not just for large corporations; it can benefit small companies with 10 to 15 employees, although the more employees, the higher the incentives, he notes. Indeed, the Economic Opportunity Act’s credits serve as a particularly attractive offering; companies can now pursue an assortment of tax credits that will ultimately help create full-time jobs. Under the legislation, the Grow New Jersey Assistance Program is now the primary program to help create new jobs, while the Economic Redevelopment and Growth Program offers development incentives. Of course, it’s still early; many local experts say it’s going to take time before the region sees any real economic growth as a result of the legislation. Possibly the best news of all for South Jersey is that the new legislation was designed to reflect regional differences in population and industry in an attempt to lead to more balanced development throughout the state. South Jersey’s businesses—and their smaller-scale development projects—are now eligible for a larger pool of money that may have once been dedicated to the large-scale projects that are common in the northern half of the state. In fact, many local businesses and experts believe that the Economic Opportunity Act may ultimately help level the playing field between North and South Jersey. According to Norcross, the legislation is also helping to boost both the educational and health care sectors in the region by enhancing other initiatives that have already been a focus for local government, such as legislation devoted to higher education. “We have more than 20 higher education institutions in North Jersey, but in the south, we have Stockton, Rowan and Rutgers … the seats just haven’t been available for our children to attend college, so they’re leaving the state to go to school and then not coming back to New Jersey,” he says. But with the Economic Opportunity Act’s focus on redevelopment in growth zones in South Jersey, the government is now rolling out initiatives that can only help strengthen the region’s “meds and eds,” such as the Rutgers and Rowan merger. In the meantime, Norcross says the act paved the way for two supermarkets that will soon be calling Camden home, including a Shop-Rite and another major supermarket chain, which will help break the city’s reputation of being known as a “food desert,” he says. The coming months will also hold other major announcements related to the creation of manufacturing and other jobs in the area, along with plans that will move forward with new light rail options for residents, like the Glassboro-Camden line.